· ADHD is one of the most common psychiatric disorders among children. · Approximately 3-5% of children around the world have this disorder. 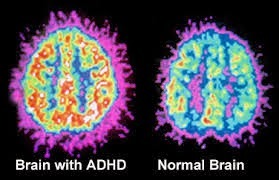 · ADHD begins with childhood and it may continue during adulthood. · About 60% of children with ADHD carry symptoms into adulthood. · ADHD is more commonly diagnosed in boys than girls, and the male to female ratio changes between 2:1 and 6:1. · One of the reasons is that females present inattentiveness more than hyperactivity and it is harder to diagnose the inattentiveness than to diagnose the latter. Inattentive ADHD (known as ADD) which is marked by impaired attention and concentration. It makes it hard for students to concentrate and pay attention in classroom. Ø They are slow to comprehend knowledge. Ø They are getting bored quickly. Ø They cannot catch the important details. Ø They are good daydreamers. Ø They do not listen when spoken to directly. Ø They do many careless mistakes in their school work. Ø They are distracted easily. Ø They cannot do organization, and planning. Ø They lose their homework, tasks and necessary things. Ø They have difficulty about following instruction. (Note: They do not have to all symptoms. According to doctor, six of all of them are enough for diagnosing ADHD. Hyperactive-Impulsive ADHD which is marked by hyperactivity without inattentiveness. Impulsivity and hyperactivity are together for this type of ADHD. Ø Students who have this type may interrupt conversation. Ø They cannot follow their turn. Ø Children have trouble concentrating and disrupted easily. Ø They are more forgetful than others. Ø They are talking too much. Ø They run from place to place. Ø They bang into objects and people. Ø They may blurt out comment at inappropriate time. Ø They have difficulties about doing quiet tasks. Ø They cannot listen when spoken to directly. Combined ADHD which is most common type is marked by inattentiveness and hyperactivity-impulsivity. Children who have this type of ADHD show mixed symptoms from inattentive and hyperactive-impulsive ADHD. Ø They might have difficulty completing tasks. Ø Problems with following directions. Ø They can grab objects from other people. Ø They speak at inappropriate times. Ø They may behave impulsively. · environmental and medical factors. What are the characteristics of students with ADHD in classroom? · Having difficulty concentration on classroom. · Their performances change according to their tasks. · They cannot wait their turn. How teachers can identify the children with ADHD in their classroom? · There is no attention in details for lessons. · They may do more mistakes for their homework which stems from careless. · It is difficult to give attention to problem solving process. · They cannot complete the problems and practices many times. · They may not listen to the teachers when they are spoken directly. · Planning and organizing math activities is very difficult. · They cannot follow the problems’ instruction and so they cannot understand what the meaning of problems is. · They may lose their things related to lessons. · They forget the rules and facts quickly. · They may start to run at appropriate times. · They cannot play the math games in classroom calmly. · They are daydreamers in classroom when teachers do something. · They cannot wait their turn for answering the questions. · They may interrupt and intrude teachers’ talking. How teachers can help and support their learning? · Make students realize the patterns while teaching four operations. · Teach with memory devices like mnemonics. Highlight the clue words. · Use manipulatives to teach topics. · Construct a visually interesting and enjoying lesson by using color codes, board games and computer games. 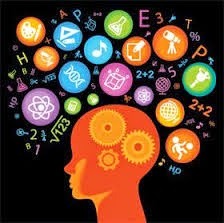 · Pair a student with ADHD with another student and make them work together. · When you do an activity or ask a problem, make sure that students understand the activity or the problem before they start doing it. · Ask questions to promote and guide their thinking. · Enable them to use calculators to check their solutions. What are the possible problems and the role of teacher in solving these problems? · Student with ADHD should be seated near teacher and at the front. · If they are talking too much, teacher should set rules and remind these rules repeatedly. These rules might be like thinking and putting their hand before talking. · Using reward system that student see also works. How should teachers communicate with the parents of students with ADHD? · Teachers should avoid the blaming them and their students when they talk about the problems. · Teachers should not use the general and negative explanations about students’ behavior instead of identifying the obvious behaviors. · Families can be manipulated for taking psychological support by appropriate explanation. · Applying the suggestions which are taken by the experts is encouraged. · Reasons which give rise to undesirable behaviors may be searched with families. · Expectation from the parents can be explained clearly. Causes and solving process are very crucial so, they have to focus on these processes. · Teacher develops and teaches expectations before problems occur and reminds these rules by using prompts and signals. · Teacher involve in active supervision by moving around the class, monitoring and interacting with students. · Teacher assesses the students’ engagement with the school and gives daily behavioral feedback. · Giving praise to reinforce positive behavior rather than punishment, selectively ignoring the problem behaviors, removing distractive object and providing objects that can be manipulated quietly, parent involvement and peer mediation. · Using behavioral prompts to remind students about expectation is also a part of this strategy. Bothma, T. (2011). Attention deficit hyperactivity disorder: The role of the principal.